State of Decay’s remastered edition is coming along nicely. It’s getting bumped up to 1080p with a whole bunch of new textures to match and give the game that beautiful new generation gloss. However, as the studio began work on the upgrade, they made a rather unexpected discover in the backgrounds. Speaking to XBLA Fans at PAX East, Undead Labs Senior Designer Geoffrey Card explained the discovery. 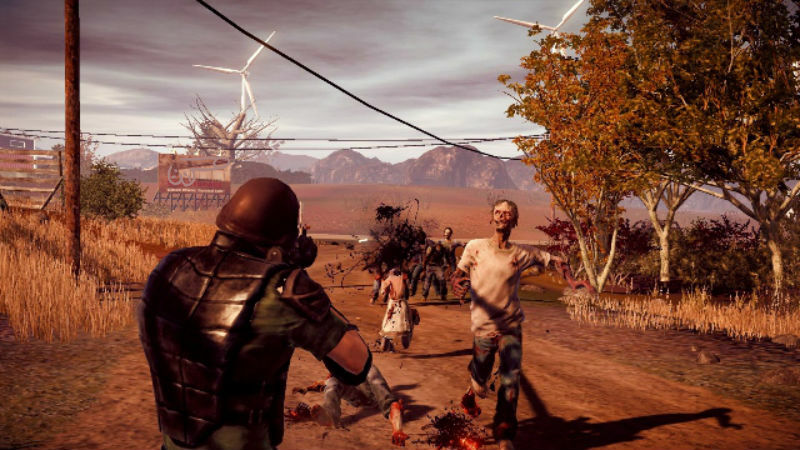 According to Card, since the studio was a small indie with a vision for an open-world game, it turned to outside contractors to complete development on the original State of Decay. However, some of those hired guns were making the backgrounds a bit more interesting than expected. Some of our contractors worked a ridiculous amount of genitalia into the background. The plethora of Phalluses weren’t visible in the original release due to its lower resolution and lower quality textures. But thanks to the enhanced resolutions and textures in the remake, all of a sudden they became highly visible. The game has come a long way since then, though, with all new textures eradicating the crude backgrounds. It reminds me of all those things about hidden sexual images in Disney movies and the like. It may be an urban legend, or totally true, but either way it’s sort of what we expect from developers. It may be immature and crude, but it’s not particularly surprising. Give people tools to make things, and they will give you dicks. Still, I would have liked to be a fly on the wall in the studio when they took their first look at the high res images only to find more genitalia on show than normally seen in men’s locker rooms at the gym.